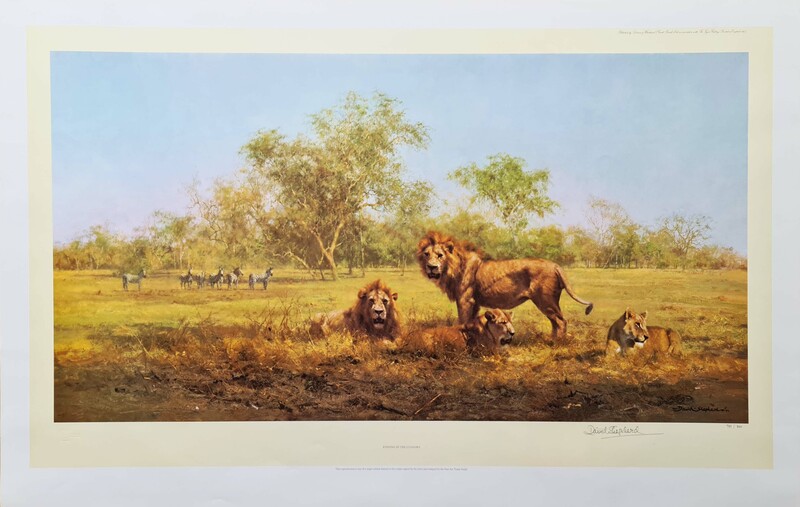 Image Size 18.5" x 37"
This copy is illustrated with a wash/line french bound mount. "Evening is short in Africa;from daylight to the darkness of night is perhaps just one hour. to stir, gradually gives way to the cool of the evening and the shadows lengthen. Then, quite suddenly, it is dark, and life awakes to the vibrant sounds of the African night. an hour. The zebra and buck will know they will be able to graze without fear tonight. All is at peace, in the evening, in the Valley."